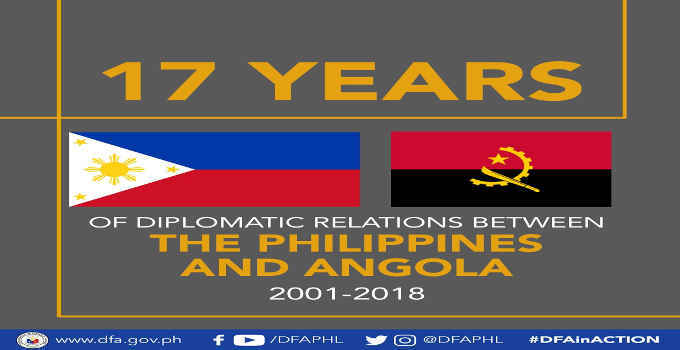 relations between the Philippines and Angola. The Flight hour from Manila to Luanda is 22 hours and 30 minutes. The Currency of Angola is Kwanza. Angola is the 22nd largest country in the world by area. Being a former Portuguese colony, Angolans speak Portuguese. Angola’s population according to the 2014 census is 25,789,024. MR. ETIENNE ALBERT BRECHET is the Consul General, a.h.